Ho ho ho…That’s a Christmas joke. Merry Christmas to all in the Berkgkampesque community. Have a great holiday–including Boxing Day–and here’s to an even better New Year! The merry elves (employed by our Santi Claus) delivered a great start to the festive season with the 2-1 win over Manchester City. 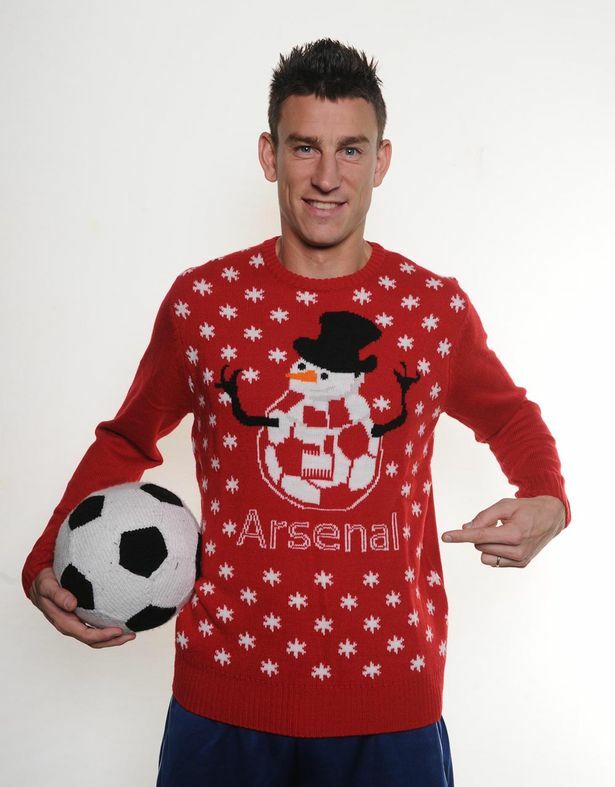 Here’s the Man of the Match (awarded by our own Total Arsenal…) with the game ball and his seasonal sweater. Now, however, the boys must get back to the workshop and commit themselves to building and bringing more gifts of great football all over the land, starting on the South Coast at St. Mary’s Stadium in Southampton. The trip to Southampton always seems to fall in the festive season–and always seems a tough one. In both 2013 and 2015 it was contested on New Years day and both trips resulted in dropped points and featured very lackluster performances. Too much champagne on New Years Eve can do that. Hell, just staying up until midnight is tough enough, in my opinion. This time we go on Boxing Day and have the luxury of a late start. By the time our match rolls around we should know exactly what our rivals have done and that knowledge should help reinforce our resolve. We know we must do better than the very poor showing we made in losing that one (2-nil) some 51 weeks ago. Since then, Arsenal have only lost 5 matches in the league while So’ton have lost 4 of their last 5—and drawing with bottom of the table Aston Villa might be just as disappointing. They are in a swoon, no doubt, but Arsenal should beware the wounded beast. Manager Ronald Koeman is definitely on the hot seat but he also worked a bit of a miracle a year ago when he replaced Mauricio Pochettino and a slew of players who had been sold to bigger clubs in the league and then lead them to an even better finish—7th place on 60 points. This year, with only two matches to play in the first half of the season, they sit 12th on just 21 points. In this topsy-turvy campaign it’s just 6 points above the relegation places but only 8 points out of the top 4. The real question: which way are the Saints headed? Koeman needs to turn his group around quickly. A result at home against Arsenal would do just that. Moreover it would help banish the memory of Southampton’s worst home defeat since they’ve been back in the top division. Losing 6-1 at St. Mary’s to Liverpool earlier in the month in the league cup buoyed Jurgen Klopp’s (almost equally struggling) outfit but did the exact opposite for Koeman. Realizing that Southampton need something out of this match means Arsenal will have to be all the more professional in our approach. The ManCity match should be the blueprint. In that one, a conservative start gave way to quick chances at both ends. They missed theirs (by inches) on a Kevin De Bruyne breakaway, while we struck mercilessly through Theo Walcott’s lovely turn and fire. With skilled attackers such as Graziano Pelle, Sadio Mane and Dusan Tadic—hungry to get back to regular scoring—our defenders will need to be just as on top of their duties as they were against the better paid players City put out. I can’t see any changes being made to our rearguard, nor, in fact, anywhere up and down the line-up. I think Arsene Wenger needs to rotate his squad, but I believe that will have to wait for the run of home matches (Bournemouth and Newcastle in the league, Sunderland in the FA Cup). 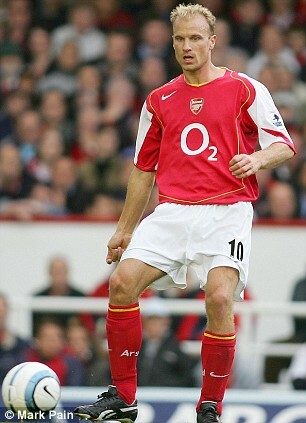 But, as always, I’m just guessing here, and other Gooners may have different ideas. The familiarity could work to our advantage as this starting group has assuaged fears about our injury crisis in notching fine wins at Olympiakos and Villa and vs City. We must not become complacent, however, and the two deeper lying midfielders, Flamini and Ramsey, must remain disciplined. We’ve scored first in our past 5 league matches (7 in all comps) so we will hope to do so again. Southampton, however, might be better placed than most opponents to sit back and absorb pressure if they are first to net one. They might, in fact, be even more ready if they get goal-keeper Maarten Stekelenburg back from injury. He’s a giant, as is Virgil van Dijk, acquired last summer from Celtic. Van Dijk is the center back many wanted at Arsenal before Gabriel arrived but I would worry equally about Jose Fonte. Set pieces onto the head on either of them–or onto Pelliano’s well-oiled quiff–could be the Saint’s best option for grabbing an early lead. Another wanted by many a Gooner is defensive midfielder Victor Wanyama. His partnership with Morgan Schneiderlin (a bench-warmer now at Manchester United) is over. Still ‘his wideness’ (Wanyama) can be a tough fellow get around in the center. Will he be up for this one, perhaps trying to show Wenger that he’s the man we should buy for our midfield when the January transfer window opens in less than a week? Southampton’s success has always been predicated on its youth program so there could be others who try and step up against a bigger team, especially if its one perceived to be in need. James Ward-Prowse is a skilled passer and Ryan Bertrand and Cedric Soares are dangerous in the full-back positions. Experienced and well traveled players like Shane Long up front and Steven Davis and Oriel Romeu in MF will also not hesitate to take advantages of any lapses. All told this is a great test of our title aspirations. Beating bigger clubs—the two Manchester teams at home, for example—sets the table; going to tough venues like St. Mary’s and then being fully professional in getting results, however, might be where the title feast is truly served. Being merciless against a struggling and perhaps desperate opponent and bringing the points back is never easy, but it would show that perhaps we have the mettle to carry through over the long haul. I can’t see anything else but your line up. Your plea is also my plea – that our double pivot should remain, at the least, as disciplined as against Man C.
and Arteta on the bench, says a lot about our depth. If we can just hang on for the next three or four matches….. excuse me, a game at a time! I feel our spirit will get us past Southampton. I rarely go into a game with a sense of total confidence, and this game is no exception. I shall be biting my nails until we (hopefully) kill it off. We should be confident of scoring – provided the energy is still there up front; we need to show the concentration and discipline in the defence, and that is the harder one to call for me. It will be interesting also to see what subs make it onto the pitch tomorrow. We’ve had a couple of the youngsters on the bench for a few games and, assuming some level of rotation is going to be needed next week, we might see one of them get some minutes on the pitch. I will be looking again to see if Chambers gets a run out at DM tomorrow, as well as whether we bring on a young attacker on the wing instead of the more defensive option of Gibbs. Thanks HT great preview, yes we need to watch out for set pieces and hope we have ironed this out. I go with your line up for this one. Agreed AB the focus is vital.. The last game, should strengthen that focus.. the way they celebrated after the game shows what it means to them and the extra belief gained from such a result may be a turning point in that sense of required focus and mettle in every game. Each game is different and I like Arsene’s message about pragmatism.. I would like to see some youth given a chance but to ensure we get the 3 points I can’t see that happening until the last 10mins if at all. The Ox and Chambers need minutes first before anyone younger like Iwobi or Adelaide. Does anyone know whether Chambers played at DM when he came on against City? It would be great to see more of him in this one from the bench. A few thoughts for the next few games. I would also like to see Gabriel get some minutes in the second half but BFG and Kos are playing really well together so doubt this will happen. Maybe a mini winter break for BFG in the home games coming up as he is no spring chicken. Maybe we could bring Chambers into Ramseys position and Ramsey into Ozils to give Messy a mini rest too. Nice post TA, Merry Christmas BKer’s! Taking nothing away from your predicted line up, i pray we’ll be able to hang in there against these so-called mid-table teams just like we did agains Citeh and their boring neighbour, because over the years, these are the kind of games that determine our season. As much as i’d have loved Arsene to rotate, we can’t afford to drop points at this stage cuz its likely Leicester drop some points in their next two fixtures and we should be positioned to take advantage of their slip up. Remember “it is the athlete that is consistent and manages his resources well that wins the tour”. Let us be that Athlete. Cheers!!! Southampton may not be in form.. they sure know just how to beat us.. I’m praying hard against this my fear!!! We will need a highly disciplined performance to get past dem.. we cant take dem for play an inch. In my stocking was a home shirt with Cazorla’s name on the back and I will wear it with pride as the little fellow has helped tremendously in moving Arsenal to the next level, even though I had my moments when Santi really annoyed me. Fine preview and you have got the sentiments and line up for the game quite right. I feel Wenger will make two changes for this one, as he likes to have something extra for the next game (as he often does in the festive period). It might be Giroud and Ramsey or Flamini, with Chambers and Ox starting.